With over 20 years of experience in the feed industry, our extensive expertise allows us to offer specialist solutions for the processing of feed. Our machines can produce feed for poultry, such as chickens, feed for ruminant animals such as cows, goats and sheep, as well as feed for monogastric animals such as horses and pigs. We also provide solutions for the aqua-culture sector. 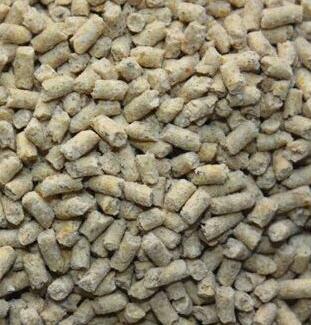 l Finish Products: Poultry(broiler, layer,etc) feed? Ruminant Feed or others? Pellet ,crumbles, powder? Is it used for own farm or commercial feed? For bagging off, is it 100% in bags or with bulk loading in some percentage? l What is diameter of pellet feed and what capacity required for production line. l Main ingredients, such as maize, soybean meal, wheat, wheat bran, broken rice, limestone, vitamins, micro-ingredients and so on? l And also some liquids type adding, for example, soya oil, molasses, water, choline chloride, methionine, enzyme? l And is it transferred in container in bulk for major ingredients, such as maize, soybean meal? And we also need consider silo storage for such kind of materials? l As for scope of supply, definitely we will offer with supervision of installation and start up, training, etc. We can offer all mechanical and electrical parts(Incl. MCC, PLC, PC with software, Cables, trays), incl. accessories, such as spouting, piping, service platform, connections, transitions. Thanks to years of experience in the feed industry, we have extensive knowledge of the specific processes and raw materials required. This allows us to optimise the relevant processes in fine detail. And because we can test on an industrial scale in our own laboratory, we can contribute to the innovation of our customers’ end-products.